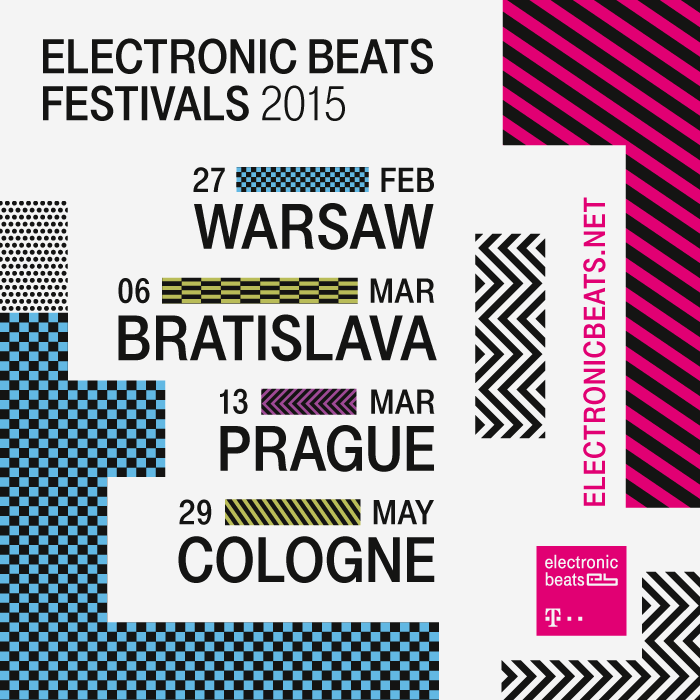 We’ve revealed the details for our 2015 EB Spring Festival Season. Click here to find the lineup, venue, and ticket details for Warsaw, here for Bratislava, here for Prague, and here for Cologne..
Our fall festival season closed last weekend, and we’ve barely had time to recover from our hangovers after raging at back-to-back showcases that starred some of our favorite artists, including Caribou, James Blake, and Jessy Lanza. Warsaw, Bratislava, Prague, and Cologne!!!!! We’re kicking things off in Poland on February 27 and shutting it down here in Deutschland on May 29, and in between we’re hitting Slovakia on March 6 and the Czech Republic on March 13. We’re not ready to reveal the lineups yet, so why don’t we refresh your minds about some of last year’s headliners: Moderat, Four Tet, Hudson Mohawke, and Jon Hopkins, and more. You can relive Hopkins’ performance via the recording of his performance from last year’s stop in Cologne, below. The possibilities for our 2015 season are wide open and full of endless opportunities, and as usual, we’re determined to one-up ourselves again. Pre-order tickets below. This year, we have partnered with Festicket to offer you exclusive packages including your ticket and accommodation to the event. Buy your ticket here. Update: Prague, you guys are crazy. We already sold 200 earlybird tickets in under two hours, so hold on tight for the official sales, which will begin in December.